Let me begin with a confession: I am a Professor of Economics who has never really trained as an economist. While I may have a PhD in Economics, I do not believe I have ever attended more than a few lectures on economics! But let's take things one at a time. I was born in Athens back in the mists of 1961. Greece was, at the time, struggling to shed the post-civil war veil of totalitarianism. Alas, those hopes were dashed after a brief period of hope and promise. So, by the time I was six, in April of 1967, a military coup d' etat plunged us all into the depths of a hideous neo-Nazi dictatorship. Those bleak days remain with me. They endowed me with a sense of what it means to be both unfree and, at once, convinced that the possibilities for progress and improvement are endless. The dictatorship collapsed when I was at junior high school. This meant that the enthusiasm and political renaissance that followed the junta's collapse coincided with my coming of age. It was to prove a significant factor in the way that I resisted conversion to the ways of anglosaxon cynicism in the years to come. When the time came to decide on my post-secondary education, around 1976, the prospect of another dictatorship haÎ´ not been erased. Given that students were the first and foremost targets of the military and paramilitary forces, my parents determined that it was too risky for me to stay on in Greece and attend University there. So, off I went, in 1978, to study in Britain. My initial urge was to study physics but I soon came to the conclusion that the lingua franca of political discourse was economics. Thus, I enrolled at the University of Essex to study the dismal science. However, within weeks of lectures I was aghast at the content of my textbooks and the inane musings of my lecturers. Quite clearly economics was only interested in putting together simplistic mathematical models. Worse still, the mathematics utilised were third rate and, consequently, the economic thinking that emanated from it was atrocious. In short shrift I changed my enrolment from the economics to the mathematics school, thinking that if I am going to be reading maths I might as well read proper maths. After graduating from Essex, I moved to the University of Birmingham where I read toward an MSc in Mathematical Statistics. By that stage I was convinced that my escape from economics had been clean and irreversible. How deluded that conviction was! When looking for a thesis topic, I stumbled upon a piece of econometrics (a statistical test of some economic model of industrial disputes) that angered me so much with its methodological sloppiness that I set out to demolish it. That was the trap and I fell right into it. From that moment onwards, a series of anti-economic treatises followed, a Phd in... Economics and, naturally, a career in exclusively Economics Departments, in every one of which I enjoyed debunking that which my colleagues considered to be legitimate 'science'. Find the best price forAnd the Weak Suffer What They Must? The fate of the global economy hangs in the balance, and Europe is doing its utmost to undermine it, to destabilize America, and to spawn new forms of authoritarianism. Europe has dragged the world into hideous morasses twice in the last one hundred yearsâ€¦ it can do it again. 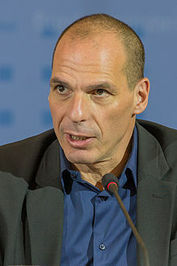 Yanis Varoufakis, the former Finance Minister of Greece, shows here that the Eurozone is a house of cards destined to fall without a radical change in direction. And, if the European Union falls apart, he argues, the global economy will not be far behind. Once America abandoned Europe in 1971 from the dollar zone, Europeâ€™s leaders decided to create a monetary union of 18 nations without control of their own money, without democratic accountability, and without a government to support the Central Bank. 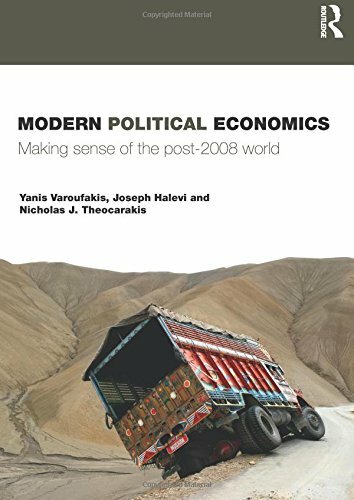 This bizarre economic super-power was equipped with none of the shock absorbers necessary to contain a financial crisis, while its design ensured that, when it came, the crisis would be massive. 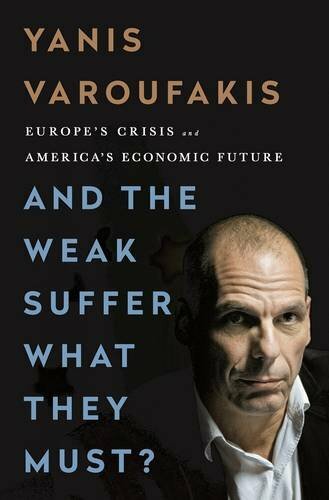 When disaster hit in 2009, Varoufakis argues that Europe turned against itself, humiliating millions of innocent citizens, driving populations to despair, and buttressing a form of bigotry unseen since the Second World War. In the epic battle for Europeâ€™s integrity and soul, the forces of Reason and Humanism will have to face down the new forms of authoritarianism. Europeâ€™s crisis is pregnant with radically regressive forces that have the capacity to cause a humanitarian bloodbath while extinguishing the hope for shared prosperity for generations to come. The principle of the greatest austerity for the European economies suffering the greatest recessions would be quaint if it were not also the harbinger of misanthropy and racism. 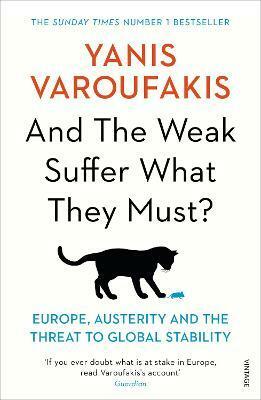 Here, Varoufakis offers concrete policies that the rest of the world can take part in to intervene and help save Europe from impending catastrophe, and presents the ultimate case against austerity. 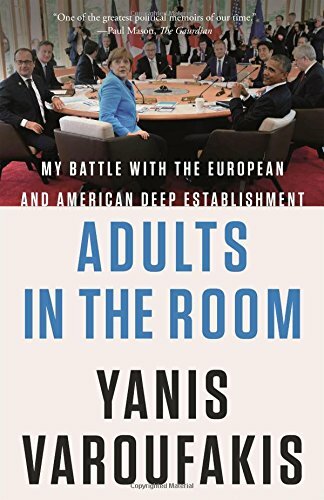 With passionate, informative, and at times humorous prose, he warns that the implosion of an admittedly crisis-ridden and deeply irrational European capitalism should be avoided at all cost. Compare New Book Prices for And the Weak Suffer What They Must?